Last year I created these Patterned Easter Eggs using white paint pens on brown eggs. I really wanted to come up with another unique and artsy egg decorating idea this year. I had just purchased a set of watercolor paint (I’m currently in love with simple watercolor designs!) 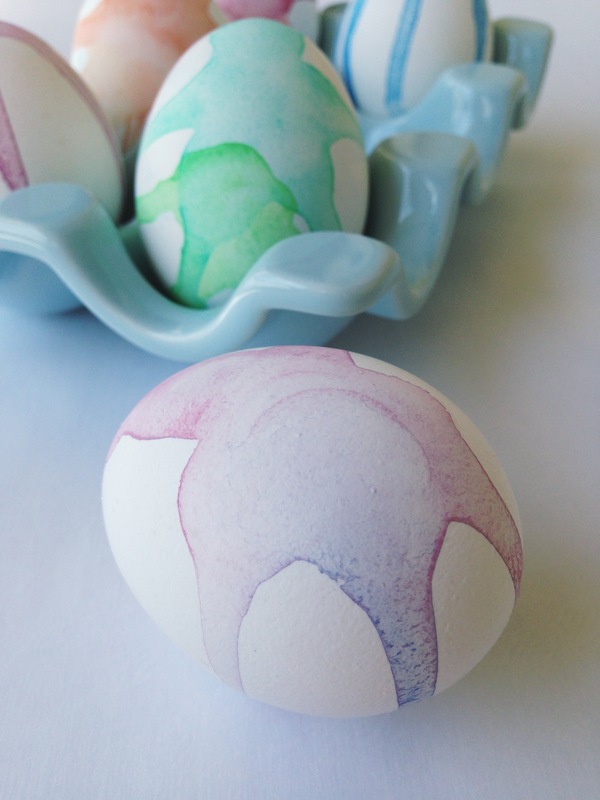 and was inspired to try watercolor egg decorating. I went to Pinterest (my go-to for inspiration) and I wasn’t able to find anything exactly like what I had in mind. 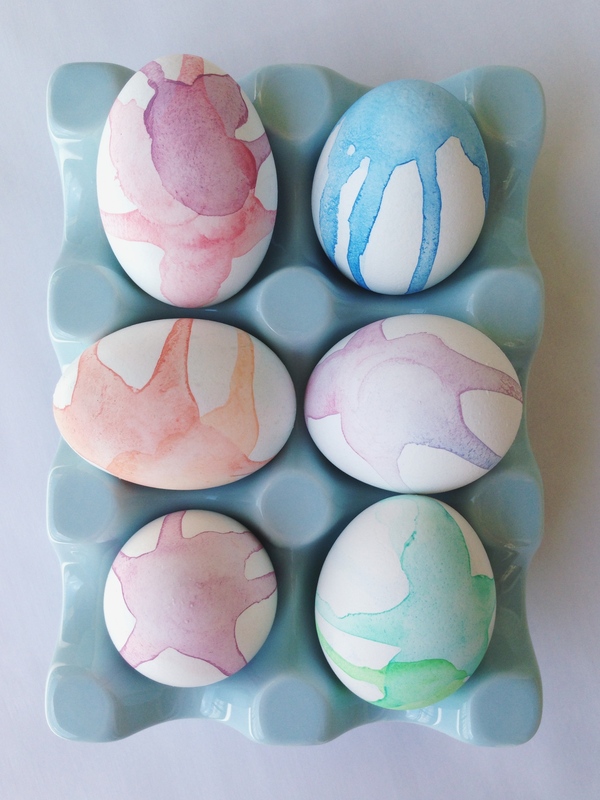 I really wanted to create ombre watercolor designs, instead of painting brush strokes onto the eggs. I wasn’t even sure if it would work, but I gave it a try and I love the results! I was able to achieve some really bold colors with the watercolor paint, but I decided to stick with lighter designs for this year’s eggs. 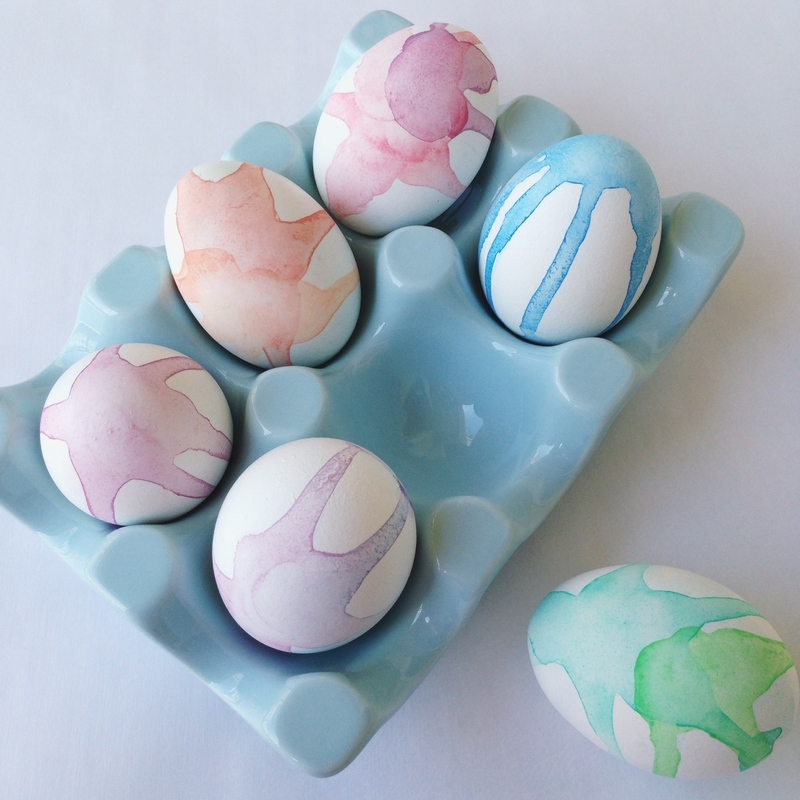 Eggs will retain their best appearance if you don’t store them in the fridge, where they might sweat (I would recommend that you don’t eat these eggs anyway – dyes tend to seep through the eggshell and watercolor paints probably aren’t food safe). Leave the eggs out as decoration, they should stay good for quite a while. If I remember correctly, mine lasted for a couple of weeks last year! Start by wetting a sponge brush and then swirling it in the paint. For each of my eggs, I started with a concentrated color. 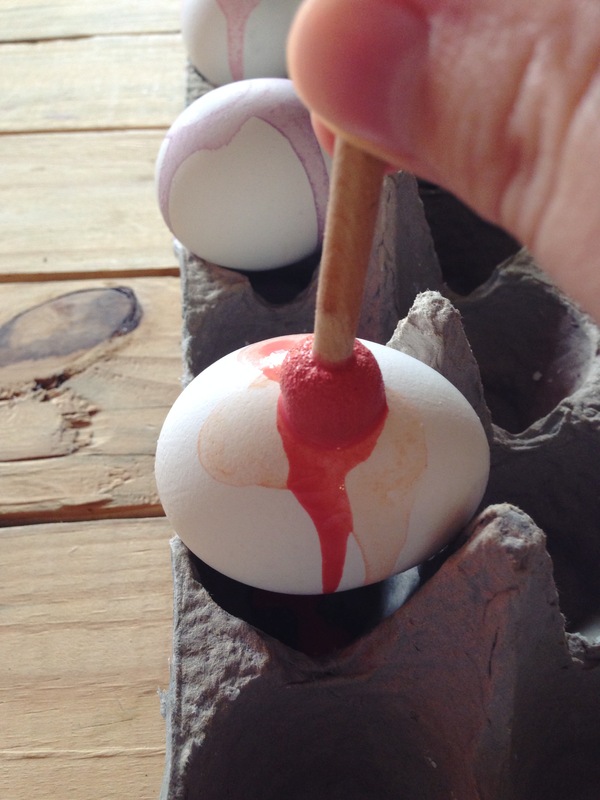 Press sponge brush onto the egg and let paint run down the sides. Repeat this process until you’ve achieved the pattern that you want. 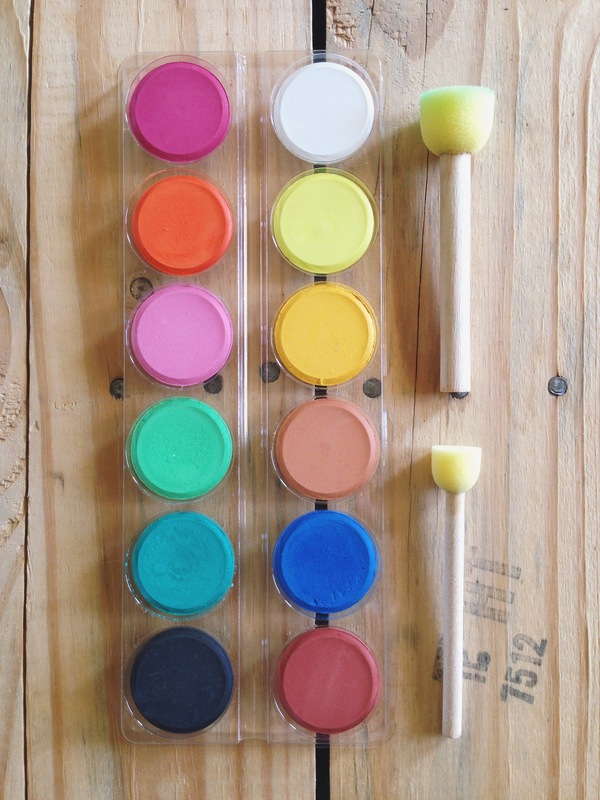 For the washed-out watercolor look, re-wet your sponge brush but don’t add any extra color to it. Press it onto the egg, letting the water run into the tracks that the paint has already created. This will give your pattern a lightened, ombre effect. You can add a second complimentary color, letting it bleed into the streaks of your first color or (for a more defined look) let the first color dry completely before layering on a second color. Do you usually decorate Easter eggs every year? Are there any special techniques or decorating ideas that you plan on using this year? Let’s talk about it in the comment section below! 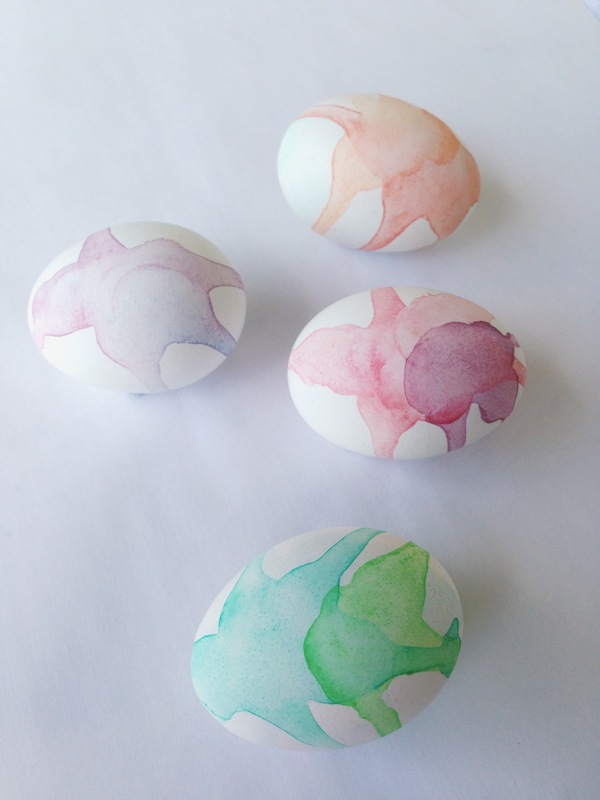 Pingback: If you have no idea how to decorate Easter eggs. Look at this.